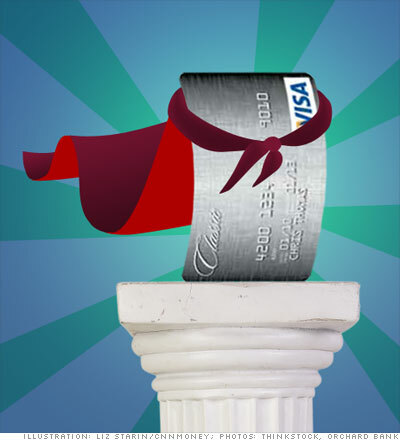 These 7 credit cards are the superheroes of the banking world, say industry experts, providing low fees and sane rates to people trying to build or repair their credit. Orchard Bank, part of megabank HSBC, offers three credit cards plus a secured card for consumers needing to rebuild their credit. You simply apply and the bank decides which card you qualify for based on your credit worthiness. The unsecured cards come with annual fees ranging from $39 to $59, depending on credit history, and APRs range from 14.9% to 19.9%, also based on your credit. To put that in perspective, a credit card like the Applied Bank Unsecured Visa Gold -- which also targets consumers with poor credit -- comes with a 29.99% APR for all customers. But even if you only qualify for a secured Orchard Bank card, it isn't a rotten deal. You have to make a $200 minimum security deposit -- which is refundable and typical for secured cards -- but the APR is a low 7.90% and the annual fee is $35 and is waived the first year. "I like these [Orchard Bank] cards because let's say you're on the bubble between bad and poor credit, you might be able to get a better deal with one of these cards," said Beverly Harzog, credit card expert at Credit.com. "Even if you do have really bad credit, this is one of the easiest unsecured cards to get, and if you don't qualify then see if you like the terms of the secured card."